Watch Dogs will introduce a new flavor to the open world genre that hasn’t really been touched on before: hacking. With so many possibilities, things might seem a bit confusing, so here’s a trailer discussing some of the things you’ll be able to do when the game releases this November. CTOS is the game world’s network of information connecting Chicago through commerce, communication, and more. Of course, that also gives the main character the ability to hack into and control all of it. The trailer gives more information on the glimpses of hacking you’ve seen in the past, including hacking into phones, ATMs, traffic lights, computers, and so on. There is also a very quick flash of a skill tree, so there will be an upgrade system for the hacking–with the currency being stolen information. There’s also the ability to hack into the crime detection system to know ahead of time when a crime will occur. Finally, you can manipulate the environment to create distractions, cause damage, or hide from enemies. These are all some of the 75 different hacks available. and can be used in multiple ways so no two players will have exactly the same experience. Check out the trailer below. 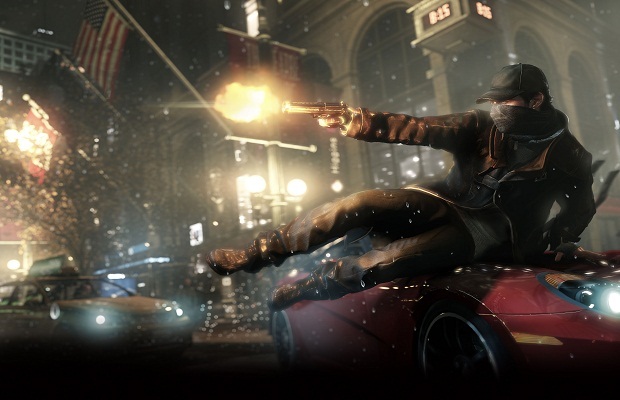 What are you most excited for in Watch Dogs? Tell us in the comments or find us on Facebook and Twitter!